Though most will know Hellmut Hattler as a founding member and bassist of Kraan, many are not aware of his works outside of that band, which probably began in 1977 with his solo album Bassball and several collaborations following that with Joo Kraus, Torsten De Winkel and others. 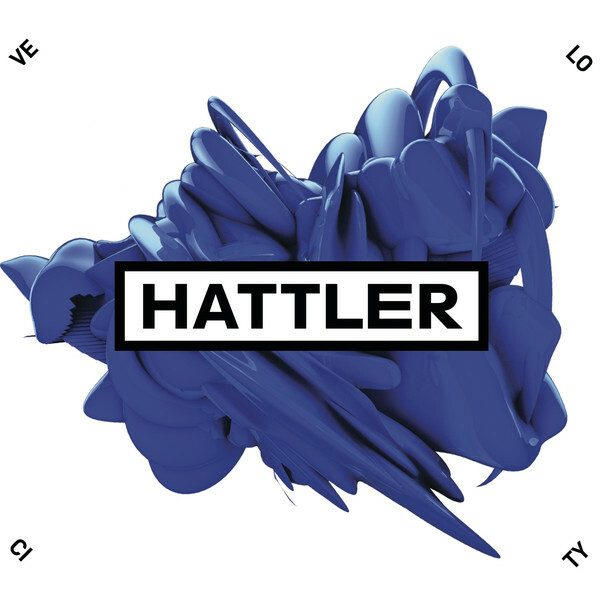 The band Hattler (as opposed to his solo albums) began around 2000 woth No Eats Yes and has been a going concern ever since, Velocity being the latest of about 14 releases, including three live albums. As opposed to Kraan, which has an expected primarily instrumental free-wheeling funky jazz-rock sound, the band that bears Hattler’s name can go anywhere, in any direction, and do it competently and comfortably. On this one, HH writes or co-writes most of the material, and still plays a mean bass. Also on board are Joo Kraus (trumpet), Martin Kasper (keyboards, Mellotron, piano, electronics), Juergen Schlachter (drums, percussion), Ali Neander (guitar), and singer Fola Dada on many of the vocal cuts, plus plenty of other folks as needed on various tracks. “Anthem for Approaching Starships” opens the album (and a shorter reprise of it closes the disc), an instrumental with a grand powerful melody that is simply unforgettable, featuring a full horn section, xylophone, Mellotron and much more. Fola Dada is introduced on the second track “Teaser,” which features a more funky bottom end and radio friendly approach as opposed to the more symphonic opener. She’s featured on four of the 11 cuts, but perhaps the most memorable of all is “Mayday in Paradise,” where she turns in a truly beautiful and sensitive vocal performance over a combination of drums and electronic beats with Kraus’ trumpet lighting the pathway, one of those songs that just grabs you and doesn’t let go. The title track features a stripped down lineup of Kraus, Hattler on bass and effected vocals, and electronics (beats and sounds) by Peter Musebrink for a laid-back almost trancey yet stunningly melodic romp. Hattler and Musebrink feature again on “Delhi Mail,” along with Torsten De Winkel playing electric sitar, a lot of percussives and other synth sounds underpinning a very forward moving groove where bass an sitar paint an unforgettable melody. All taken, there are notable surprises throughout the album at every turn.